Victor Garrido is manager of the technical department at Dumont Bergman Bider SC. He is an industrial chemical engineer, with specialisation in polymers and in intellectual property law. 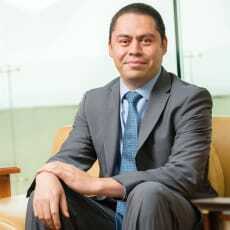 He has been involved in patent matters for 15 years, working for some of the most prestigious firms in Mexico. He has handled both the administrative and technical aspects of patents, industrial designs and utility models, including prior art searches, drafting and filing applications, counselling in both formal and substantive examinations, technical opinions on patentability, clearance analysis, and opinions for litigation. He has published articles in some of the most renowned international IP magazines and has participated as a panelist in international events. He is member of professional national and international organisations, such as the AMPPI, AIPPI and AIPF. He speaks Spanish and is fluent in English.